[1.5.x] Kerbal NRAP - Procedural test weights! Since I just decided to start limited myself to no-reverts-unless-bugged rule, this should come in very handy for testing lifters. I think you now maintain about a quarter of my mod list. Very glad to see this active! Very handy for designing launch vehicles with subassemblies. Can you add a 1.875 m size if you have the MOLE mod installed? Just commented on your Github issue @eberkain, I think it would be great to have a fine-adjustable slider for reasons. I'd love to see a fine-grained slider that snaps to the nearest 0.005 lets say. Would give tons of flexibility to size the test weight to simulate different sized payloads or fairings. Edit: I am using Tweakscale, Tantares and BDB as well as some other mods which result in some odd sized stages such as .9375 (close enough to .938), 1.5, 1.875, 3.125, etc. Having a freely adjustable diameter would be great. I am not very experienced with CFGs myself, so please take this with a grain of salt. As I said, I'm not sure, but I believe this would be a pretty easy config tweak. Or you could use TweakScale, but that might mess up some mass stuff. Re. the additional part sizes: It's not a simple cfg tweak, the way the mod was coded, it's actually a fairly big change internally. You aren't kidding with that. I have no idea how many I've got now that your maintaining. You really are making a herculean effort to keep some of the better mods around alive and well for us these days. For that I can't thank you enough. For resurrecting this mod I shall now be happy to bear your kerbals. I also play no-revert and missing NRAP is murder on that situation. Kerbal Weights is cool and all but it is nowhere near as versatile for simple lifter body testing. Thank you so much! I say do it which ever way makes the coding easier. Having a list of sizes to select from is perfectly fine although the flexibility of a fully adjustable slider would be really nice. Easier and simple coding though is more important and I think those of us that use it anyway would be fine with what works best for you. 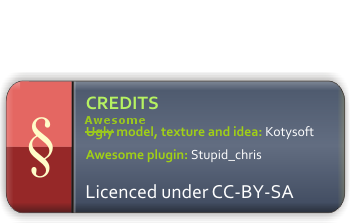 Could you make the config dialogue a part of the main menu config system, I've seen alot of mods using that lately. Only if there are a fixed number of sizes. Which may not be too bad, if I put in a large enough number. I'm still working on the final problem, which is when NRAP is the root part, and you leave the scene and come back, the size is wrong. I'm leaning towards not allowing it to be a root part. There are plenty of parts that are not allowed to be a root. 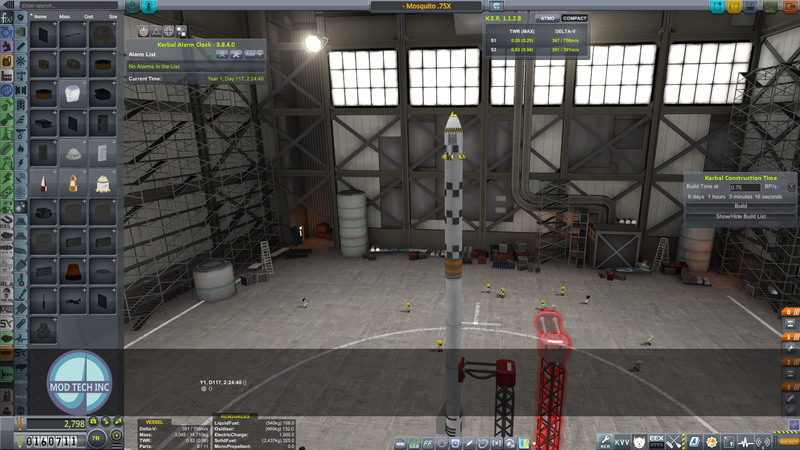 It makes since for NRAP because its just a test weight to simulate payload. that's something I can override with my own MM patch right? Having this part as root is how I build all my rockets as it lets me do it stage by stage with the NRAP simulating the weight of the upper stage(s) and then I can just break off the stage as a sub-assembly and then re-build the rocket under the actual payload. leave the scene and come back, the size is wrong. But it's not saved that way right? So you just have to reload the craft? Yes, you will be able to override it. Re. it being saved, it is saved correctly. I'm not definite on this yet, but if I can't fix it, then I will lock it from being a root part. You can now specify up to 10 fixed sizes in the standard settings page, and when the NRAP window is open, you can either use the snappable or fully dynamic size. Also, the NRAP window is now draggable. I'm not sure this is final, I'd like to get your feedback first, also, please test the heck out of it for me. With USI Asteroid Recycling Technology the asteroids have a huge mass. A class E can have for example 4.000.000 tons. So capturing is not an option. However, a class A with a trajectory perfect for a capture could maybe done with few deltaV and a huge rocket. I wonder if would make sense to allow NRAP to also include those crazy masses. NRAP is designed for launches, not in space captures. Discovered another bug. Take this simple rocket. I remove the launch clamp, and then press undo and I get this. You can see that performing an undo causes the NRAP to clip downward, well below the attachment point, this is repeatable with different vessels and after reloading the game.